On July 28, 2015 the U.S. Department of Health and Human Services, Office of the National Coordinator for Health Information Technology, announced that California’s Emergency Medical Services Authority (EMSA) will receive a grant of $2.75 million over two years to advance health information exchange (HIE) statewide during a disaster and regionally in daily emergency medical services (EMS). 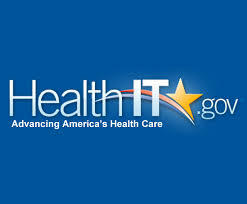 California is one of 12 states to receive support through this $29.6 million program, funded by the Health Information Technology for Economic and Clinical Health (HITECH) Act of 2009. The selected projects seek to expand the adoption of HIE technology, tools and services and increase the integration of health information in interoperable health IT to support care processes. The grant will be used to develop the “Patient Unified Lookup System for Emergencies” (PULSE). During a disaster, patients are often transported out of the affected area and away from their usual health care provider system. One of the fundamental lessons learned during Hurricane Katrina was that health professionals need access to patient health information to avoid medical errors, renew medication, and coordinate care. This project will establish connections between two community health information organizations (HIOs) or health systems via a secure web portal. When a disaster happens, the web portal will be activated so authorized healthcare professionals can access patient records from outside their own health systems through their existing electronic health record system or through a secure website. Eventually healthcare providers will be able to access electronic health records from all over the state whether they are treating patients in an unfamiliar hospital, an alternate care site or a mobile field hospital. In addition, the grant will support the creation of technology, infrastructure and cooperative agreements to enable EMS providers on scene to exchange patient health information with local hospitals. Currently, paramedics on scene don’t have access to important health information for the patient they are treating such as allergies, health conditions, medications, and the patient’s pre-directed treatment or end-of-life decisions. EMSA will help develop pilot linkages between ambulance transport providers, local EMS agencies and emergency receiving hospitals in at least two counties. This will allow EMS providers to 1) search for a patient record in real time, 2) alert the hospital as to the nature of the patient coming in and receive medical direction, 3) file electronic patient care reports for the pre-hospital care they provided into the patient’s electronic health record, and 4) reconcile outcome data from the electronic health record back into the EMS record at the conclusion of the episode for system improvement. Much of the necessary HIE infrastructure to accomplish these projects already exists. California has more than 40 health information organizations and health care system information repositories, but they are not connected. Participants will have to address difficult policy considerations and interoperability issues between proprietary data systems, and develop bulletproof cooperative agreements to make the greatest use of the health information infrastructure that now exists. Next Why HIE in EMS?